In latest episodes of “The Good Witch” marked the come back of the younger twin sister Cha Do Hee and she turned more evil that it is really hard to watch her scenes and not want to slap or beat her up!! 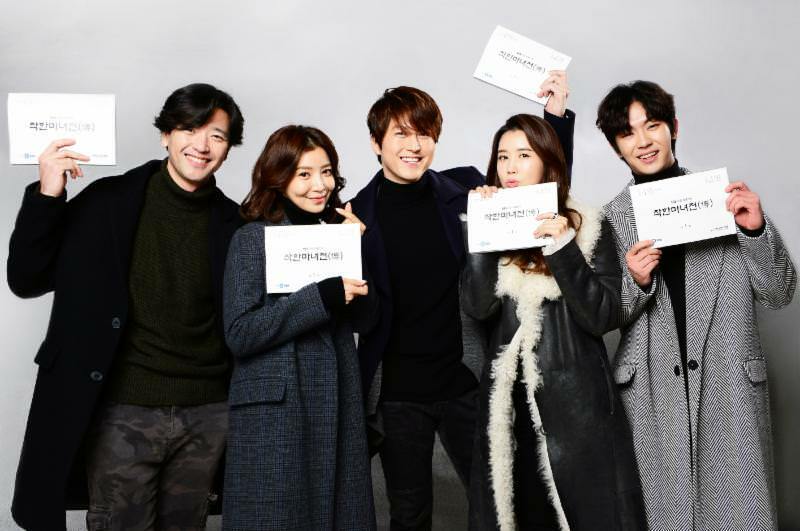 Even though I can’t say that it is the high quality project that I wished Da-hae will comeback with specially after 4 long years away from the K-Drama scene and it is actually receiving low ratings but I am surprisingly enjoying the drama so much more than I actually expected. The plot is nothing to write home about and I personally have problems with the direction and editing but the drama and characters have a charm, I like its pace at the most part and Da-hae is giving a very good performance in her first duel role so I am still kind of happy about it till now and I wish they at least don’t mess with the story and Da-hae character(s) there until the end and we get to see good development for the characters. Lee Da-hae attended the press conference of her new drama “The Good Witch” on the 2nd of March along with other cast members including Ryu Soo Young, An Woo Yeon, Bae Soo Bin and Shin Hye Jeong. Lee Da-hae have been quite active lately on SNS and thankfully giving us regular updates on the filming of her drama “Good Witch” which will most probably premier a month from today on the 3rd of March and seems that it will have 40 Episodes (each 35 mins which basically mean 20 Eps with the usual format). Since SBS didn’t release any official updates about the drama so it is such a relieve to have a glimpse on the filming through those updates from our girl. I love all the pictures and videos Da-hae posted and for now I am OK with her looks for the drama although I would have loved her to avoid the bangs and tackle more aggressive changes between the two roles but on the other hand this might be more convenience for the filming since she will have to jump from character to the other.